We loved your origami workshop! 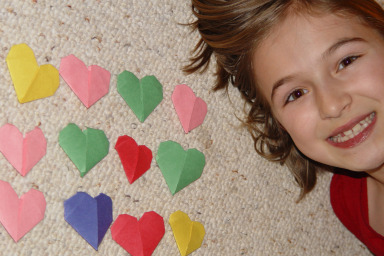 The next day, my mom and I made 24 hearts for my teacher and class. I also showed my classmates how to make them at my school's Valentine's Day party, and I wrote my own "How To" instructions! I'll bet you were the most popular person in school that day! Great photo!